He was cast out of Heaven and condemned to rule hell for all eternity. He most likely enjoyed every minute of it until the moment he decides to take a vacation from doing evil. Now he more or less lives peacefully in Los Angeles where owns his own bar and hides no truth from anyone for being Lucifer, a fallen angel. Believe it or not, a creature who brings evil and temptation sometimes may do nice things, such as help to investigate a murder, save human life, and refuse to accept any human soul even if they are willing to sell it to him. 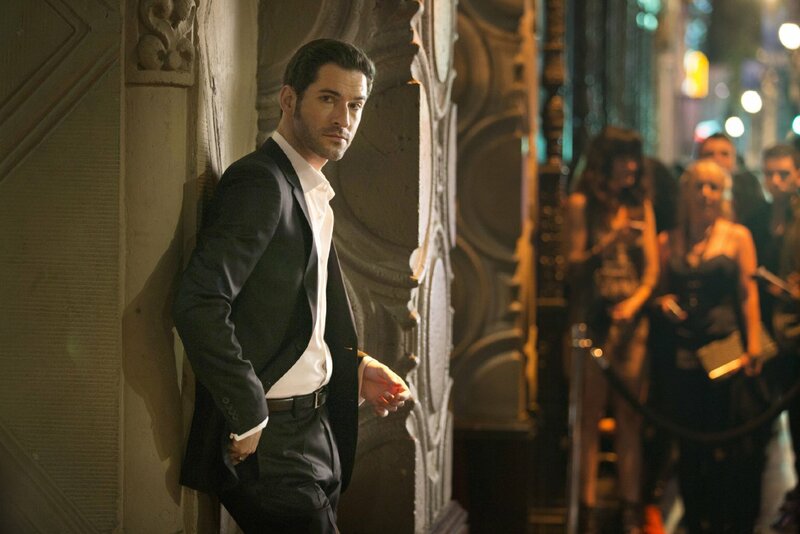 FOX’s ‘LUCIFER’ is an excellent show where evil is about to earn our sympathy… and why shouldn’t he, if he tries so desperately to help rather than bringing trouble? When the pilot episode begins we find Lucifer full of himself in his car, where he’s all of a sudden stopped by a police officer for speeding. After our hero sorts the problem out in a charming way, he continues his journey without a clue what awaits him. In a club we meet Delilah, a troubled singer who wants to sell her soul to the devil. What we see next is quite unlike what we usually assume when we hear about the devil. However, Lucifer refuses to comply to her wish and asks her to take care of herself and live a life free from alcohol and drugs. The dialogue the two have is quite educational and not far from truth. Delilah asks Lucifer if she’s actually sold her soul to devil already, where Lucifer answers that if she started using drugs, abuses alcohols and gets in trouble all the time, it does not mean the devil was doing that to her, but herself. Unfortunately, how Delilah’s life would have ended up after that life-changing conversation is something we will never find out because a few minutes later she gets killed. Angry and determined to find the truth, Lucifer tries to solve the murder alongside a police investigator, Cloe Dancer using his unique skills. It’s quite entertaining seeing how Lucifer uses his power against the powerless and helpless beings. We also find out that his father wishes him to get back to Hell as he is not happy with Lucifer’s current life, especially, when he goes against his nature. The series created by Mike Dringenberg, Neil Gaiman and Sam Keith gives us a very dynamic start where you find yourself amused even though you might be a very dedicated believer. When it comes to the kind of show like LUCIFER, it is always good not to relate the plot to religion, and separate them, as it can have a negative impact on anyone who can dislike seeing Lucifer as a good guy. This show is harmless and engaging in terms of acting and the plot itself. It’s going to be interesting to see how the evil and Lucifer’s abandoned friends in Hell are going to react to his recent heroics, as that’s undoubtedly something unthinkable for them. And if they want to declare a war on him, then I am sure we all would like to see how the fight of evil will end against evil…? And after all, does it really matter if we are having enough troubled beings who can harm anyone ‘unaided’?